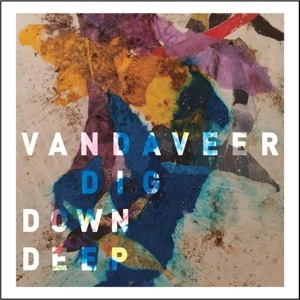 Vandaveer is an alt-folk outfit based out of Washington D.C. The band was originated in 2007 by genius Mark Charles Heidinger, who soon found other members to add to his Americana project, including vocal-gem, Rose Guerin. Released on Supply & Demand Music, Dig Down Deep is a symphonic mixture of harmonic texture and fey tales. Most notable is Guerin’s harmonies on “Dig Down Deep” and “The Great Gray”- her vocals are as milky soft as (if not better than) Joy Williams (aka, one half of the Civil Wars). “Gray” itself is a sulky homage to breaking on through to the other side. Longing for some good fiction to go with your music? Listen to “Spite” for a brooding man with a cursed affair, “The Waking Hour” for wounded dreams, and “As A Matter of Fact” for loose cannons and the “prettiest poisons” (as well a sweet parlor-esque piano riff).